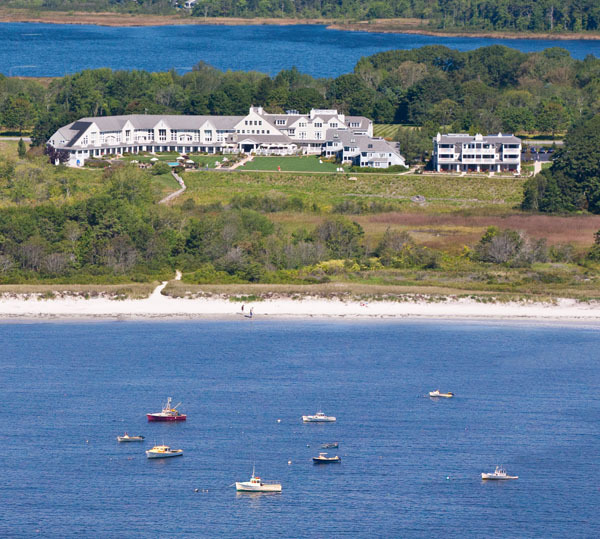 Overlooking the Casco Bay in Cape Elizabeth, Maine one can find the most relaxing and gorgeous place to vacation, Inn by the Sea. The luxurious getaway is accompanied by out of this world hospitality. The way that the inn operates is inspired by the natural coastal surroundings, as they are eco-friendly in impressive ways. The establishment appreciates all things local and uses recycled objects in most of their products such as towels, cleaning products and exercise equipment. Some of these items even benefit charities such as habitat restoration for bunnies. Additionally, the beautiful gardens surrounding the inn provide food and habitat for the local wildlife. Besides the remarkable efforts the establishment takes in caring for the environment it also has gorgeous accommodations. 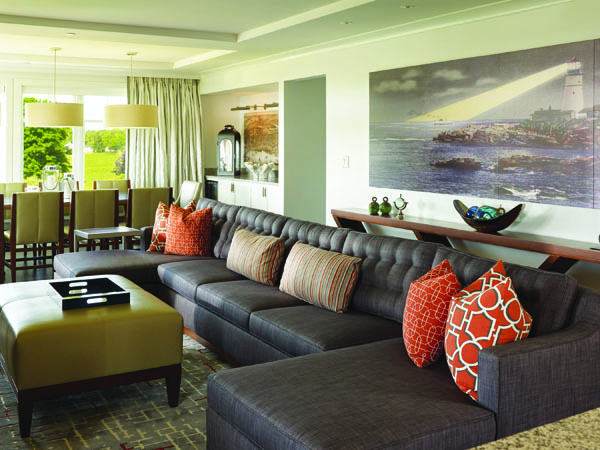 The most luxurious beachfront rooms are the newly constructed Cove Suites. 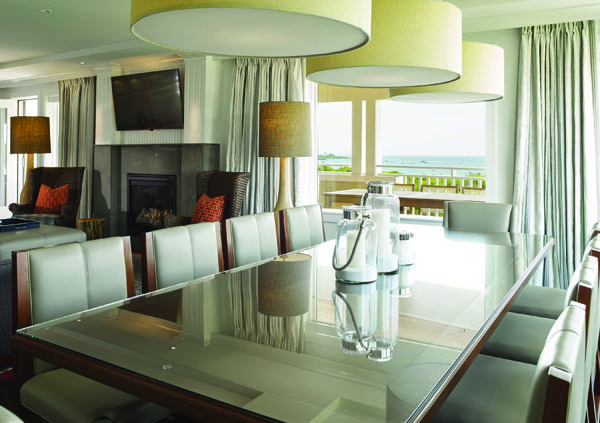 The interior takes a modern twist on coastal ambiance. These rooms are perfectly suited for family entertaining with a spacious living area as well as an outdoor terrace, which are delightfully furnished. The dreamy master bedroom comes with a king bed and second bedroom, which features two queen beds. The calming living space offers a pull out couch as well as soft seating, a flat screen TV and gas fireplace perfect for unwinding after a long beach day. It doesn’t end there. The kitchen is completed with a refrigerator, 2 burner stove top, dishwasher, microwave, coffee maker and sink. Along with the kitchen the dining room elegantly seats four people comfortably, perfect for having a family dinner or breakfast. Make sure to take a bath in the oversized tub as you admire the marble top sinks and luxury of the Inn. Lastly this fine suite is dog-friendly and has a private deck area that offers a couch, chairs and tables for ultimate serenity. Come on over to Inn by the Sea for the start of a calming and luxurious stay where you’ll never want to leave.